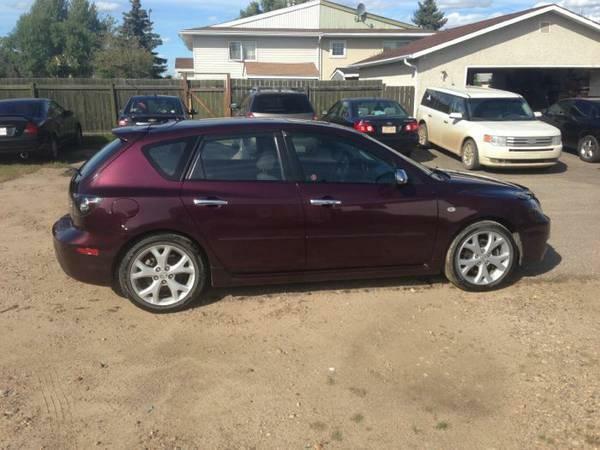 Purple 2008 Mazda3 sport with hatchback. Comes with tires shown, as well as a set of winter tires on rims and 4 all-weather mats. Original owners manual, warranty information booklet and all history reports included. Great on gas and just an all around good car. Call, text or e-mail with questions or to set up a viewing. Small reliable truck. Great for in city use. 107,000 Km's. 1 Owner. 2 Seats, 2WD, RWD, Manual Transmission.